8th Edition of the Belle De Jour Power Planner has finally arrived! 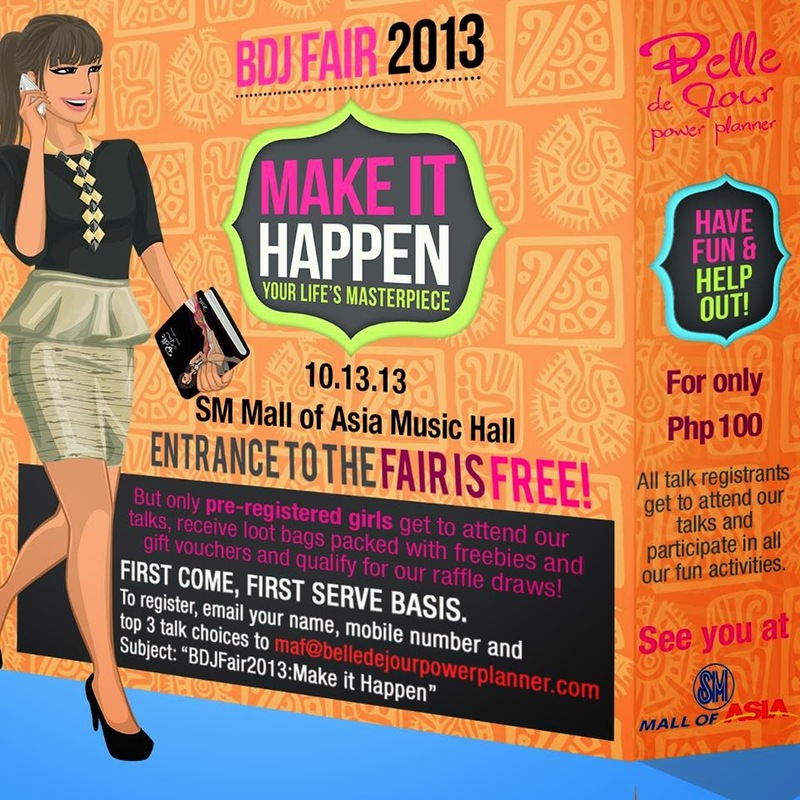 And it was indeed a Sunny day for all the Bellas who came to the BDJ Fair 2013 last October 13, 2013 at the SM Mall of Asia Music Hall! Like what is said on the poster below, the entrance to the fair is free but only pre-registered girls get to attend the different talks! Friends, I like to tell you how much I am into coffees! Especially frappes. :) Please do bear that in mind. Hahaha! 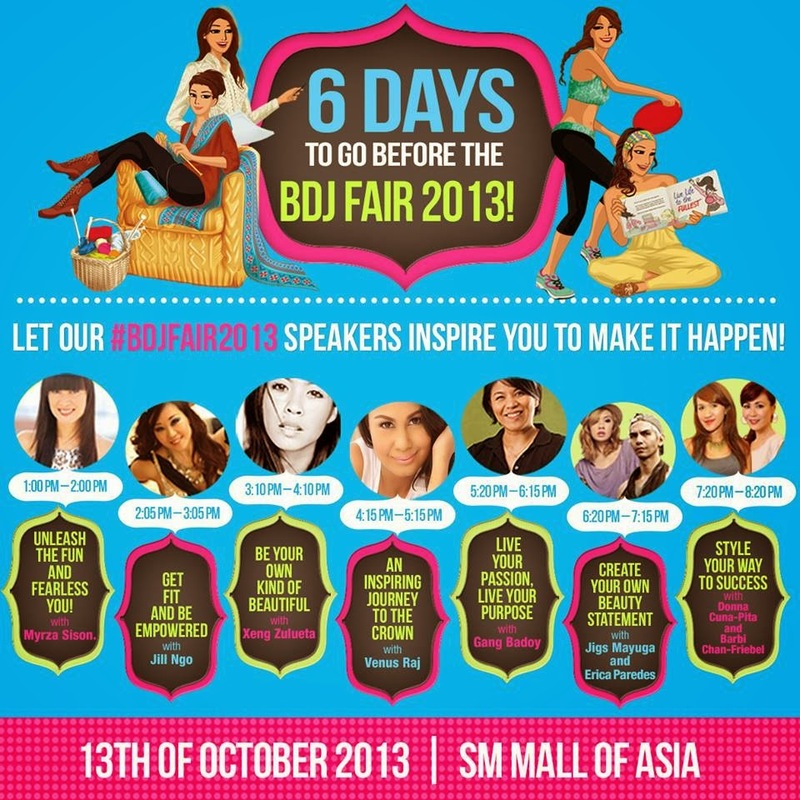 Subic Grand Seas Resort is also there to support the BDJ Fair. And guys, they're giving free room accommodations if you are lucky enough. Awesome! Physiogel Hypoallergenic is also giving away free samples for girls to try out! I am so happy to see one of my favorite boutiques Trilogy! They had different snapbacks and shirts available for everyone. Miss Cup Stacking? Flipsters offered a Cup Stacking Competition between you and your chosen partner. Whoever wins gets the 200php off GC on Flipsters products. DC Shoes and Sharpie offered free Shoe Designing Workshop to lucky Bellas who won on their previous shoe designing contest over at Facebook. Lucky!! The Cream Factory and Saforelle also prepared different games with fabulous prizes! Free Skin Analysis over at Dermclinic! Awesome staffs over at the SM Parisian Booth! You get to like their facebook page and you'll be given a chance to pick a prize over this fish bowl. Luckily, I get to have my own pair of SM Parisian. What makes it so special is that the shoes that they gave me is a part of KC Concepcion's endorsed shoes that will be released on November! 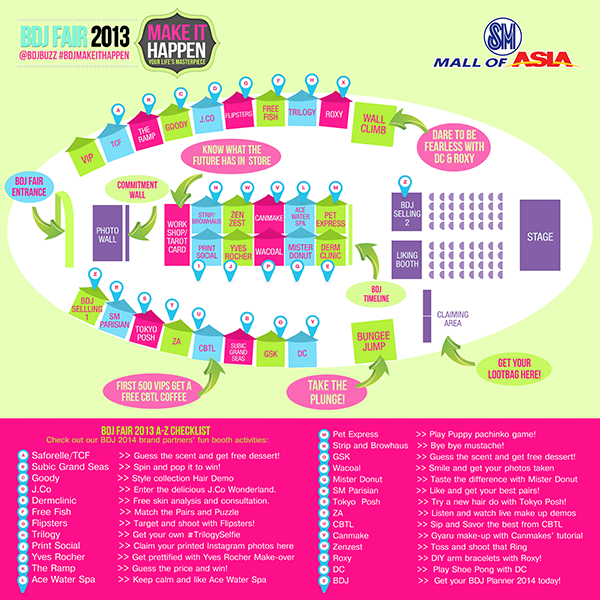 SM Parisian bags and shoes are also sold during the event! If you're picture friendly, go to Wacoal's photo booth and have your picture with your besties! THIS! I regret not trying the Bungee Jump because of the long line. 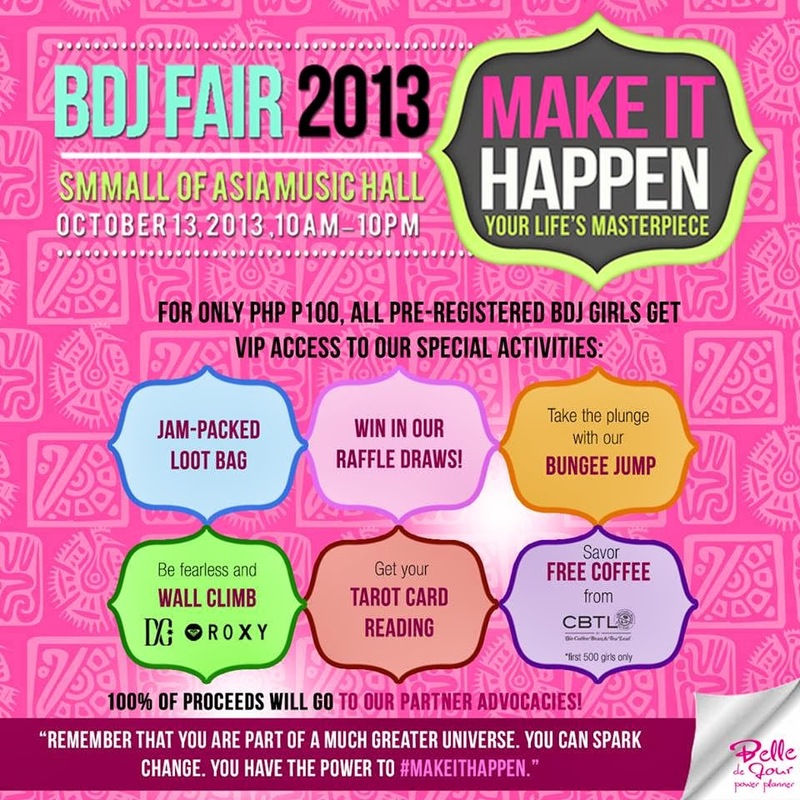 :(( I do hope that BDJ repeats to have this activity on other BDJ events. Jasmine Mendiola was the host of this day's event. :) Very bubbly and loud. I am so happy to see Myrza Sison! :) For those who don't know this lady, she is the Editor-in-Chief of Cosmopolitan Philippines. I am an avid reader of Cosmopolitan and I am very amazed of how the magazine imparts important learning to ladies out there. 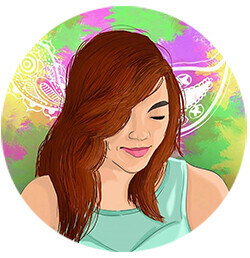 Now for my chosen talk, the first talk that i've been to was in Jill Ngo's Get Fit and Be Empowered! I am not very particular with her until this day. All this time, I don't know that she is the very graceful belly dancer that I've been seeing in different shows in the television.